Cheryl J. Doub, LCSW is the CEO/Owner of Jefferson Oaks Behavioral Health Inc. CARF accredited facilities currently serving persons in Baton Rouge and the surrounding areas. Cheryl has been serving persons through Partial Hospitalization, Intensive Outpatient, Outpatient Professional Services, Outpatient Detox and Integrated Intensive Outpatient Mental Health and Substance services for over 20 years. 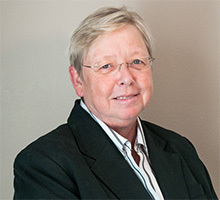 She has worked in both the public and private sector in multiple states over the past 30 years and has worked with many diverse populations both Mental Health and Substance Abuse, adult, adolescent and geriatric persons in both inpatient, partial hospitalization, Intensive Outpatient, outpatient programs, residential treatment, CMHC’s, corrections, drug courts, State Veterans Administration, developmental disabilities, school based programs, and private practice treatment. Professionally Cheryl has worked with many diverse funding sources Private insurance companies, Medicaid, Medicare, private, grant funding, state funding and private pay. Cheryl is certified in trauma treatment and a certified Mediation Specialist. She is affiliated with many local and National organizations including NASW, LA-NASW, LA Assoc., Health Care Plans, LASACT, NAMI and others within her field and scope of practice.